A couple of nights ago, Doug went to Isaac's room to feed him, do his asthma treatment and give him his night time meds. It's the usual routine of things around here. He starts around 9 p.m. and finishes up around 9:30. Then we open his can of formula and pour into the tube. As it empties, we refill the tube until his formula can is empty. Then we use smaller syringes to push his meds in, then we rinse it all down with water. Doug was at the "formula pouring stage" the other night. You know, don't you, that special needs children can be perfectly ornery, just like any other child? Isaac, especially, knows what he can do and what he is not supposed to do, especially during a feed. Also, just like you and your hubby do not deal with your children in exactly the same way, Doug and I don't do Isaac's feeds exactly the same either. 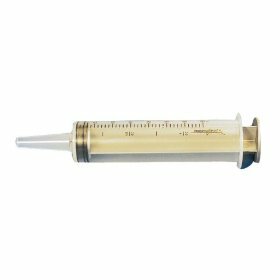 I always hold down Isaac's arm, the one closest to me, the one that lies underneath the syringe full of formula that I am holding. Doug does not hold his arm down. No real reason, he just doesn't. So, as a result of that, Isaac and Daddy have lots more "uh ohs" than Isaac and I do. However, the other night, we had an "uh oh" like we have never had before! When he brought up his arm, he caught the tubing, which jerked the syringe. Formula went everywhere! I heard menacing growls from Doug, so I suspected that there was formula all over the bed and Isaac. But, then, I heard Doug use a phrase that would have been in poor taste (and very out of character for Doug!) had it been an oath, rather than a cry for help from above! I called out, "WHAT'S WRONG?" And Doug replied, "HE'S PULLED OUT HIS BUTTON!" Isaac had come up under the syringe and tube so hard that it had yanked his button right out of his stomach!!! We have spare buttons, of course, and so I sent Doug for water and I grabbed the extra kit, slathered on the surgical lubricating gel and PRAYED that the button would go IN! There is always the chance that the hole in Isaac's abdomen will start to close up really quickly. If that happens, and you're not able to get something in that hole to hold it open, it means a trip to the ER and another surgery to place the button. Scary thought, that! And just enough of an incentive to make you move very quickly to get that button in place as soon as possible! All went well, and the button went in, although I did have to push a bit at the end of the insertion. We had him all cleaned up and "eating" again in about 5 minutes. But oh, the adrenaline rush of the moment! It took Doug a little longer than me, I think, to calm down. He gets a little more "excited", shall we say, than I do over things like this. Oh, but don't think he's wimpy and I'm untouchable! The first time Isaac had a bloody nose – from tipping forward in a rocking chair – I went to pieces and had to leave the room. Doug just laughed and cleaned him up and kept assuring me that "his nose is not broken!" : ) We all have our strengths, amen? Normally, this situation with the button wouldn't have happened. 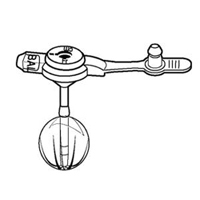 The balloon that is filled with water holds the button very securely and usually the stomach itself will stretch, but the button stays put. Evidently, the button had been slowly losing water. This happens when the stomach acids wear a microscopic hole in the button, or if there was a flaw in the button to begin with. He's had the button in for several months, so I think it was the first reason that caused it to lose water. When I had time to examine it later, the balloon was almost flat. It's a wonder it hadn't come out before this. So, Isaac had an evening basking in lots of attention – Mommy and Daddy came to help feed him! Doug gave his adrenal system a good work out and I got a great story for my blog! And…all's well that ends well, right? New button is working like a charm, and he's not even sore around the site. Praise the Lord! How scary! I’m so glad everything turned out okay! I just had a scare myself. Josiah skydived off our bed. All seems to be well though, Praise the Lord!!! oh my goodness!!! Isaac did that once, still has a scar right by his eye! SO glad he is ok!!! Thank the LORD you had an extra button and were able to get it into place. We went to feed Josh 1 time and his button was missing! The balloon had ruptured and fallen out ~ Scarry!! Then this week Josh decided he needed to flip over on his tummy during a feed. I was amazed his button was still in place after that gymnastics trick… BOYS!! I am not allowed to have an extra button so an ER trip would be called for. I have heard that I can just put the old button back in to keep the hole from closing until we can get to the hospital for a new one. you know, I wonder if you could shop Ebay to find his button. That way you would at least have an emergency one on hand. Now I “only” have 2 left, and it makes me extremely nervous! I can’t imagine not having any on hand! OH MY!!! That must have been a horrible shock, I can not even imagine. You guys are awesome in working so quickly to get it replaced, I’m so glad to hear Isaac is doing well today too! Phew, that must have been scary! Aaaargh!!! Ahem… that was me again, not my mom. I’m not sure what is up with this as we both use different ‘puters. Would it help Doug to know my Mog does this on a regular basis? In fact I think that’s the only way we ever change her button; when she gets her hand around the tube and pops it out and we decide it’s been in long enough to put a new one in not the old one back again! Thankfully it doesn’t seem to make her sore – not even when she pulls it out with the balloon still fully inflated. I hope Isaac isn’t too sore this morning – and am thankful you were at home when it happened not anywhere else.